Standard Flat Front Pull 17" x 28"
Standard Flat Side Pull 28" x 17"
More Space. Less Price. Longer Warranty than Engel MT35. 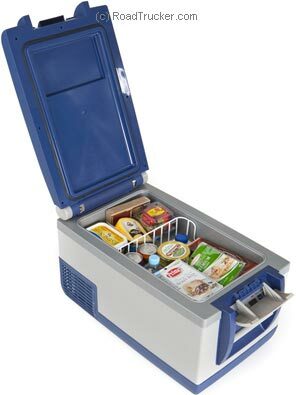 The ARB 37-quart Fridge-Freezer provides a great way to keep your food and beverages chilled or frozen regardless of ambient conditions without the use of ice inside the unit. The ARB 37 Quart includes 2 separate power cords, one for AC operation (120 volt) at home, and one for DC operation (12/24 volt) in your vehicle. Carry the fridge easily with its front and rear carry handles. Equipped with rubber feet as well to help minimize shifting in motion. 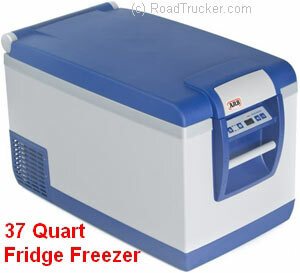 Make your road trips more enjoyable with the user-friendly ARB 37-quart fridge-freezer. Average DC power consumption: 0.7 to 2.3 amp hr depending upon ambient temperature and the volume of food/beverages loaded in the unit.